And I can make it what it needs to be. This book! Gah! Tissues were a must and there were moments that I had to pause for a minute or two because of the intensity thrumming throughout the book. It was like needing to catch my breath because of everything that the main characters experienced and had to endure as they lived their story, both as a couple and as individuals. I've read several of Barbara Elsborg's novels in the past, but The Story of Us is truly extraordinary read, one that will stay with you days--or even longer--after you've turned your e-reader off or start a brand-new novel to peruse. Caspian Tarleton and Hvareschaeshman Zadeh, better known as Zed, are fifteen and fourteen when they first meet, and over the span of ten summers, their story unfolds. Zed was the boy who lived by the rules while Caspian was the one who never minded breaking them. They become friends and then much more, but are soon torn apart. Yet, somehow, their connection remains. When all is said and done, Zed and Caspian's love for one another is a constant, but will can they hurdle all the challenges standing before them and continue to live their love story? Learn more about Barbara Elsborg. 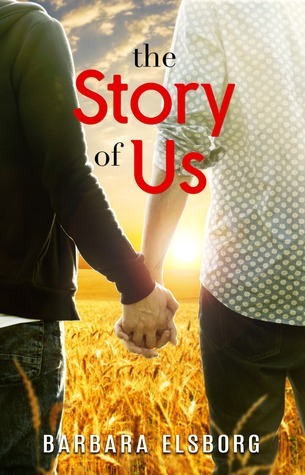 Purchase The Story of Us on Amazon | Apple Books | B&N.